Seabourn Odyssey, Yachts of Seabourn, launched in June 2009, in the Mediterranean. It will be traveling on a world cruise. While it was docked in my hometown of Fort Lauderdale at Port Everglades, I had the opportunity to tour the ship. 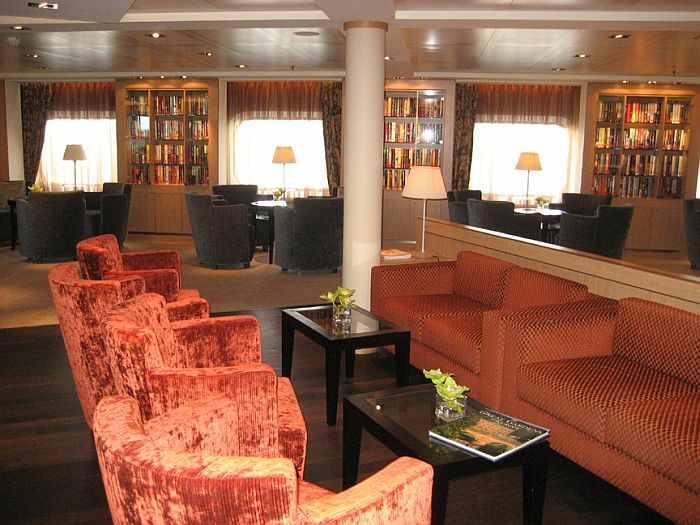 The ship has the ambience of a yacht with passengers enjoying many of the amenities offered on larger cruise ships but in a more spacious, less crowded atmosphere. I liked a new concept for the cruise line called Seabourn Square, a concierge lounge where guests can access all shipboard services in a living-room atmosphere. The Square has a library, upscale shops, internet access and computers, outdoor terrace, coffee bar with yummy pastries and comfy lounge chairs. The ship capacity is 450 guests. Its 225 suites cater to well-traveled passengers, mostly seniors. Passengers are predominately American with some European when it visits ports out of the country. Announcements are made in English but several languages are spoken on board by the international crew. The 11-deck ship is outfitted with two outdoor swimming pools, six outdoor whirlpools, fitness center with resistance and cardiovascular equipment, the biggest spa to date on the line, at 11,400 square feet, with a relaxation room with heated loungers, steam and sauna rooms and private balcony for sunbathing. 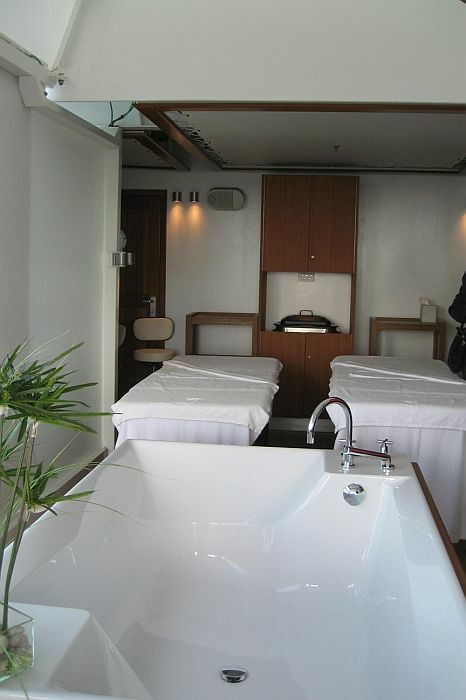 The spa suite with private sunning area has a hydropool and massage area for couples and can be rented for two hours for $600. Drinks are included in the price of the cruise. Bars are numerous. The Observation Bar, located on the top floor above the navigation bridge, with its square bar, has panoramic views and music nightly. Sky Bar, overlooking the pool and patio is relaxing and a nice place to watch the sunset while the Grand Salon is a comfortable lounge with a dance floor and the scene of cabaret performances, cooking demonstrations or movies or afternoon tea. A small casino offers games of chance and slot machines. Entertainment ranges from singing groups and comedians to dancing shows, mostly taking place in the Grand Salon. Live entertainment and a full band for dancing takes place in The Club. A card room is available for guests outfitted with game tables, cards, scoring pads and video games. Children are welcome on board but there are no children's programs or dedicated facilities for children. Fine dining is experienced at The Restaurant, where guests have an open-seating option and the menus by chef and restaurateur, Charlie Palmer. The Restaurant serves Charlie Palmer's progressive American cooking styles for dinners focusing on fresh ingredients and exquisite presentations. Every menu also features a vegetarian option and classics like roast chicken, Caesar salads and steaks. International in scope, the menu changes with the seasons and ports of call. A jacket is required to dine and on dressier occasions, candlelight black tie optional is the dress code. The Colonnade, an indoor outdoor more casual option eatery has buffet stations for breakfast and lunch with daily specials and cooked-to-order items. 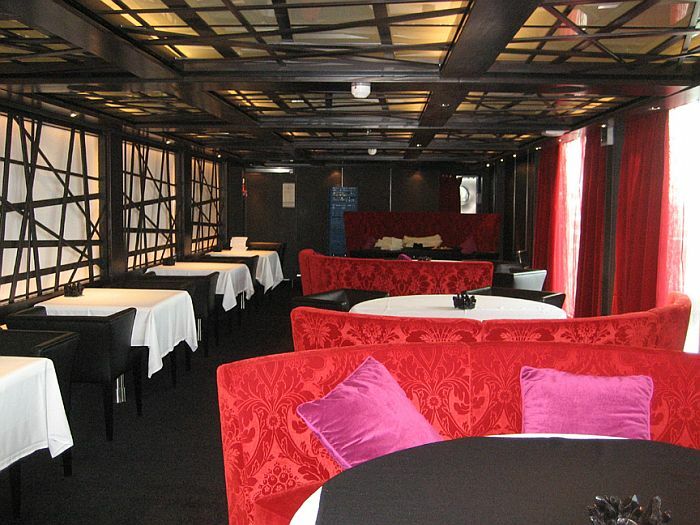 At dinner it is transformed into a seated dining room by reservation with different themes reflecting ports of call. Reservations are also required for Restaurant 2 which offers an 11-course tasting menu with wine and food pairings, served small plating style. The Patio Grill is reserved for those who prefer casual dining, served buffet style, providing the weather is pleasant. The Patio Grill is also used for entertainment seating for Movies Under The Stars in the evenings, weather permitting. Guests also have the option of in-suite dining from the menu served in The Restaurant. There are no extra charges for any of the restaurants. 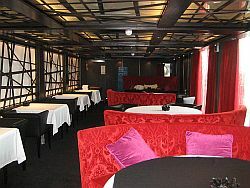 House wines and tips are included in the price of the cruise. The 225 suites are roomy, ranging in size from 295 feet to 1,182. Verandas add additional footage. 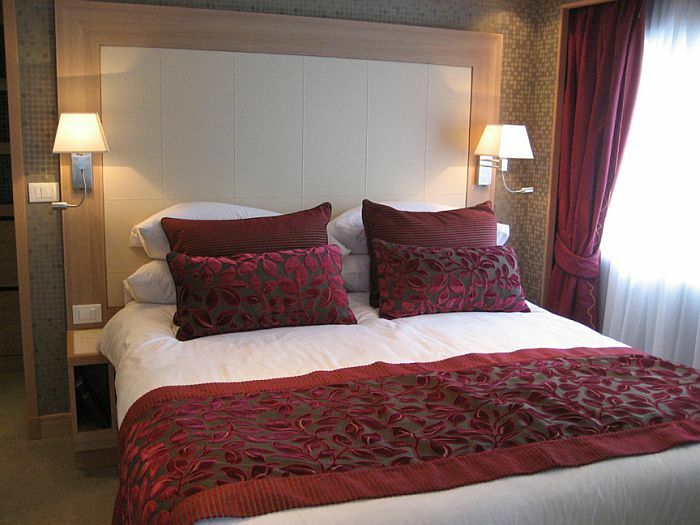 Rooms have one queen-size or twin bed configuration. Suites are outfitted with a walk-in closet, plenty of drawer space, safes, flat screen televisions, makeup vanity. All suites have a separate shower and bath tub. Granite countertops, with two sinks, in the bathrooms are luxurious. Additional equipment in the rooms is a personal bar and refrigerator that is stocked according to passengers preferences. Hair-dryers, wi-fi acess, umbrella and 24-hour room service is available. All suites have ocean views with picture windows or glass doors leading to a veranda. Smoking is allowed in staterooms and designated areas. For passengers who want a smoke-free room, should advise the cruise line in advance of their requirement. 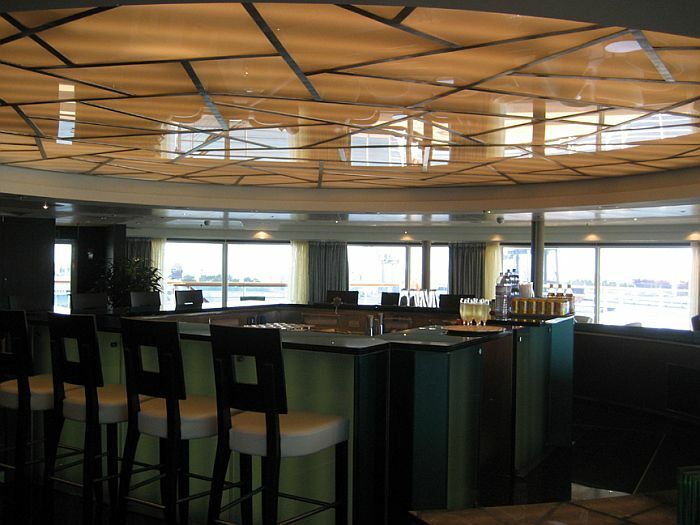 The Yachts of Seabourn lives up to their image of providing a yacht-like atmosphere on board their ships. The line is not geared to families with young children, catering to a sophisticated, well-traveled clientele. 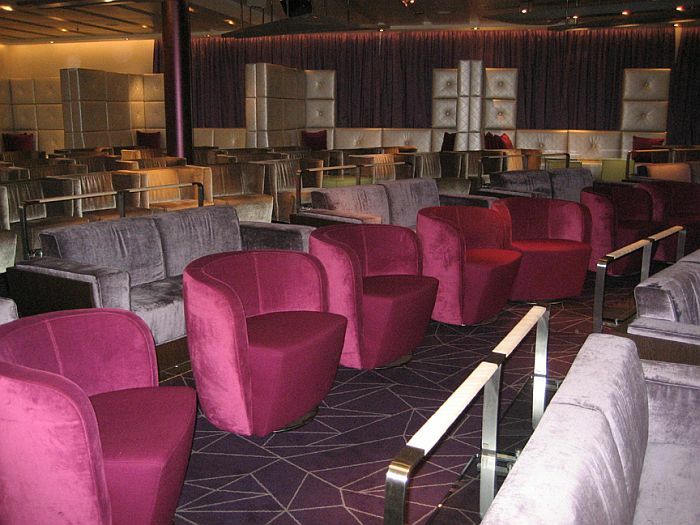 Passengers that prefer lavish entertainment and vibrant action in the casino may find this ship a little on the quiet side. Because of its small size, there may not be many people gambling in the casino. There are two blackjack tables, a roulette table and slot machines. The advantage of this yacht-like ship is its ability to go to ports where the larger ships can't fit in because of their massive size, enabling guests to visit many unique destinations. There are several handicapped rooms, porters with wheelchairs assisting guests with disabilities during check-in during the cruise. 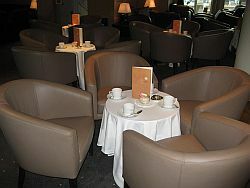 Passengers traveling alone are also catered to by being seated, if they wish, by hosted table partners at dinner. I hope to sail on the ship in the future and write about the sailing experience, but at first glance the Seabourn Odyssey seems to have a great deal to offer the seasoned cruiser. Go to the Seabourn website.